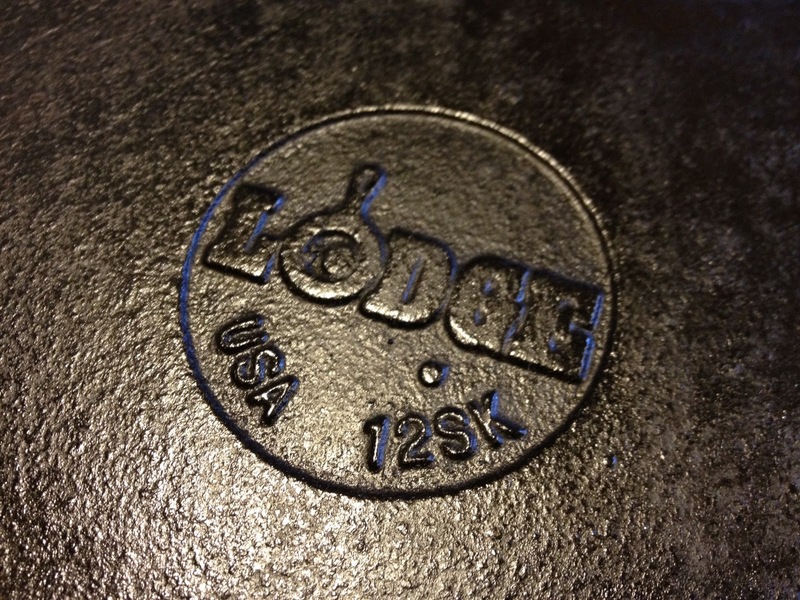 This skillet is used daily in our household, and often sees action several times a day. 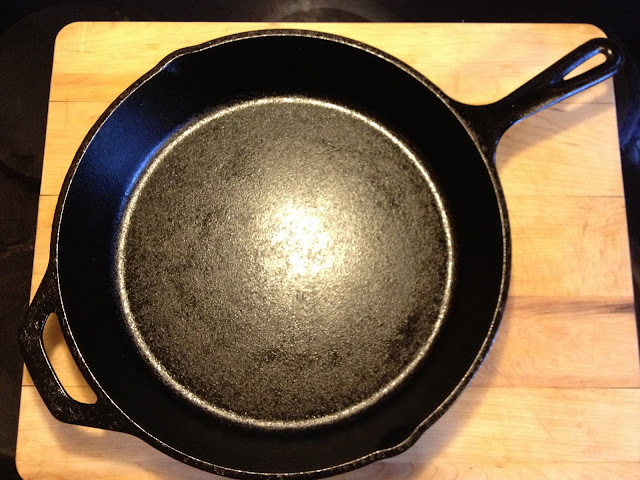 It's been around a while, and so has become very non-stick and easy to maintain. 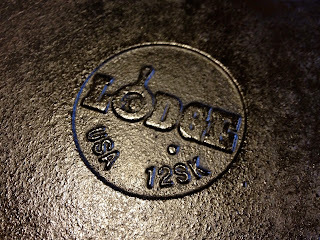 It is a Lodge "12SK" and measures 13 1/4 inches across the top. It features two pouring lips to help get liquids out of the skillet. It also has an "assist handle" on the opposite side from the main handle, so you can grab it easily with two hands. We use it for scrambled eggs, fried eggs, omelettes, corn bread, quesadillas, enchiladas, french fries, roasted vegetables, deep dish pizza, roasts, and more.